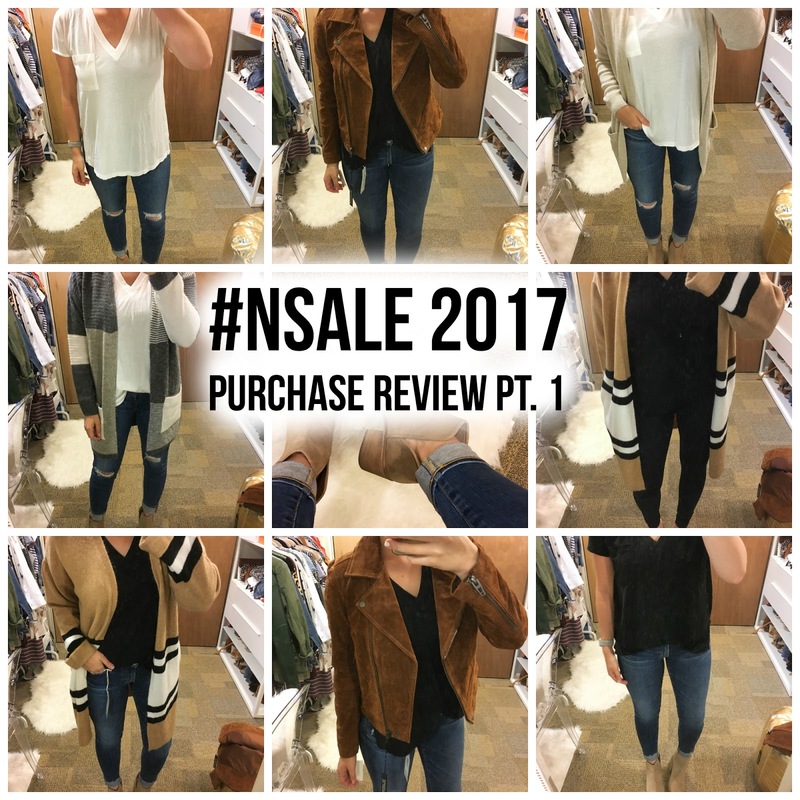 The Nordstrom Anniversary Sale just started and I thought it would be fun to share a try on haul and review of the purchase I made. I did shopping in the store the first day of early access and will have part two up on the blog as soon as my online orders come in. 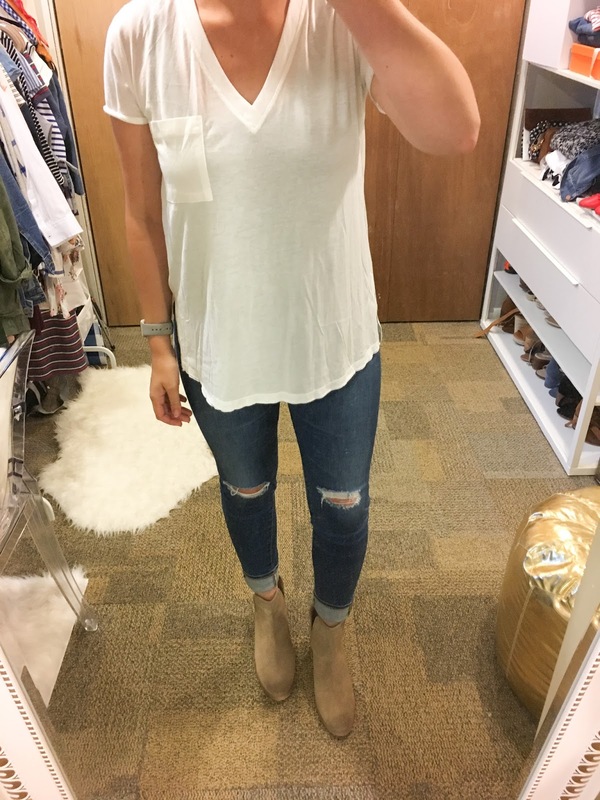 This size guide will help break down some of my favorite pieces for you! I will have a size reference down below so you can get an idea of how something might fit on you! 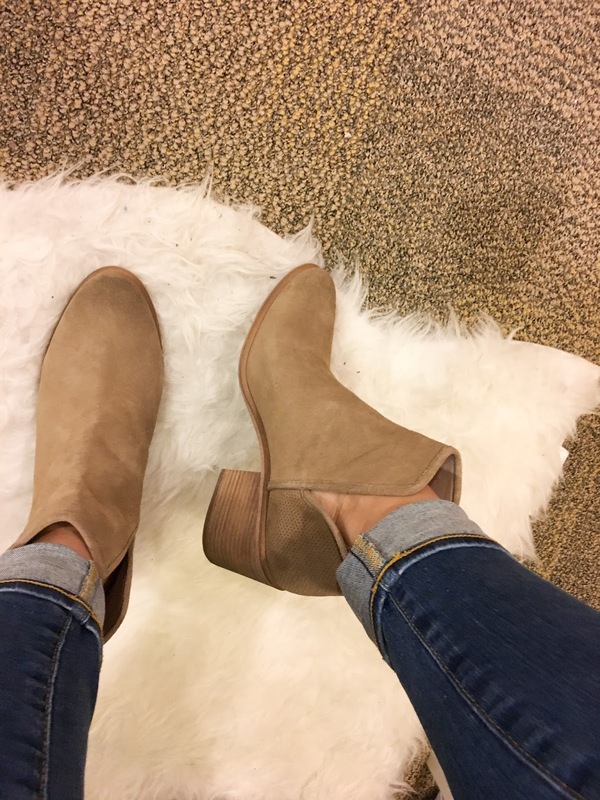 Click on any of the links to be sent directly to the item, remember Nordstrom has free shipping and returns on all items. Happy Shopping! Tops: I usually wear a size 4/6 or small, sometimes medium depending on if I want a looser fit. Dresses: 4/6 or size small. I will size up to a medium for length. Bottoms: Size 6 fits me the best or a 27/28. Shoes: 9.5 is my true size, but a size 10 fits the better in boots. so I bought the xs instead. I honestly tink it fits about the same, at least I couldn't tell. So this would run TTS, but you can also size down a size if you wanted. 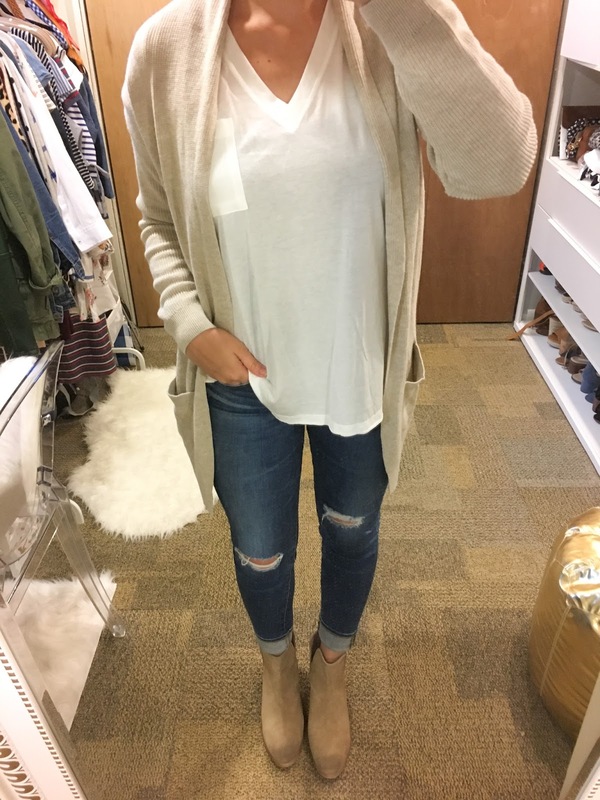 This cardigan is a very popular item from last year so I knew I wanted a neutral color this time. Sizing: Since I like my shirts a little over size I went with a medium, so this one I would recommend going one size up. This was the perfect basic find for only $15.90! I got it in black as well just because I always seem to be losing my basics! This comes in a ton of colors! Sizing: I just bought my regular size 9.5 but haven't tried them on with socks yet. They are the perfect fit without so I am hoping the sock doesn't make them to snug. These run TTS. I love the color of these with the low heel making it easy to walk around in well still staying stylish. They come in 3 different colors! Sizing: I sized down a size. This is supposed to give off an oversized look but I didn't want it too oversized. When I saw this I knew I had to have it! It is just perfect and soft! This for sure will be an item to snag before it sells out! Sizing: I bought a size 27, but I would still consider these to run TTS. 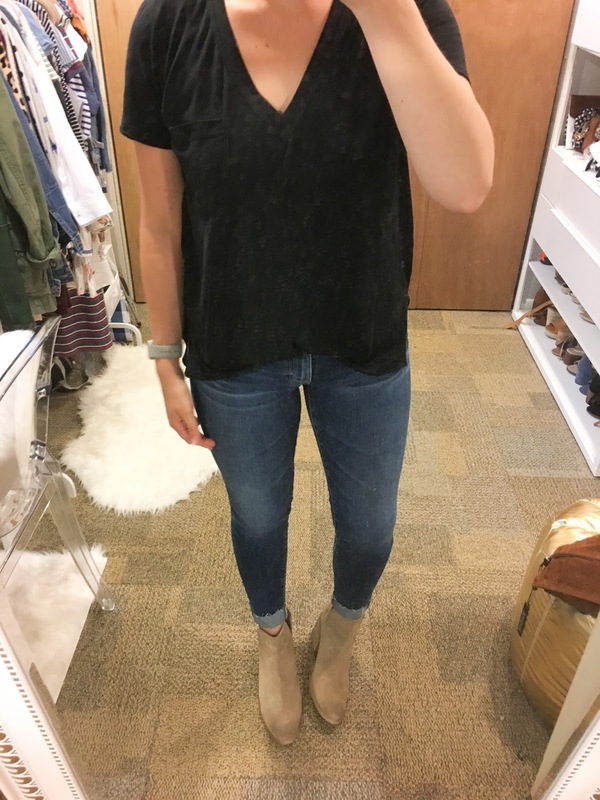 I buy all my AG legging super skinny jeans in a 27, but other styles of AG jeans in a 28. This would be a great item to try on in store to find your perfect fit! I was so excited these were a part of the sale because I always love getting a new pair of high-end denim before the school year starts. They are stretchy and seriously will last you! Sizing: I bought a size medium. The small fit, but the arms are tight so I had to size up. If you have skinny arms it runs TTS, but if you want to wear a long sleeve shirt under or something I would go one size up. Last years style of this sold out the first day and I finally got my hands on the burgundy one. 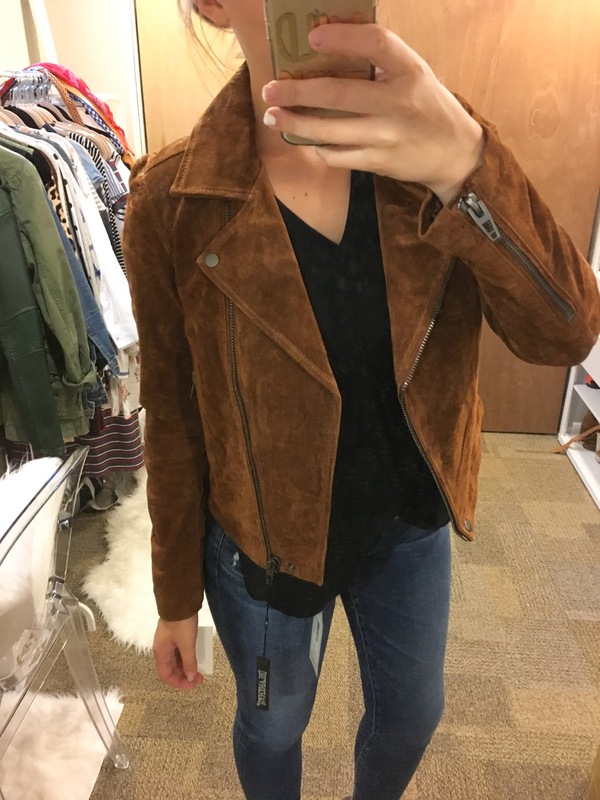 It just didn't go with much in my closet so I am super happy they made it in this pretty cognac color! I also love the cut of this. The material is amazing and it feels way more than the price. If you have been thinking about this one, I say go for it. It comes in two other colors (I just ordered the gray as well). 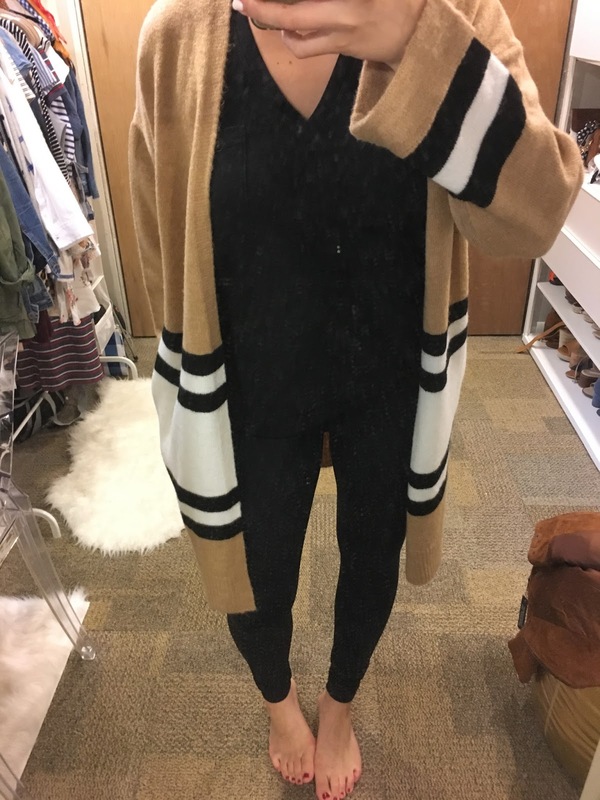 Sizing: This is obviously meant to be oversized, but it looked odd when I tried a US 6 and US 4 so I ended up getting a size US 2 (smallest size offered in this). I still think it looks a little too big, but I love the colors and style so I am gonna give it a go. For this I guess it's up to you on sizing, I would recommend sizing two sizes down (or more). Try this one on in store to see what fits you best! Sizing: I bought a size small, they run TTS! I knew this would be one of those items I had to buy right away since it is such a popular item during the sale! I bought the same pair last year, but not high waisted and have loved them. They were my first pair of Zella athletic clothing and have help up a year later, I am super excited to try out this high waisted pair. I usually wear these for everyday wear or with a long tunic instead of working out in them. They also come in a pretty burgundy color! The sale look so good, This year i didn't buy anything!!! So many great picks! Love them all! The moto jacket is so fantastic! I love your selection my friend! So many amazing picks! 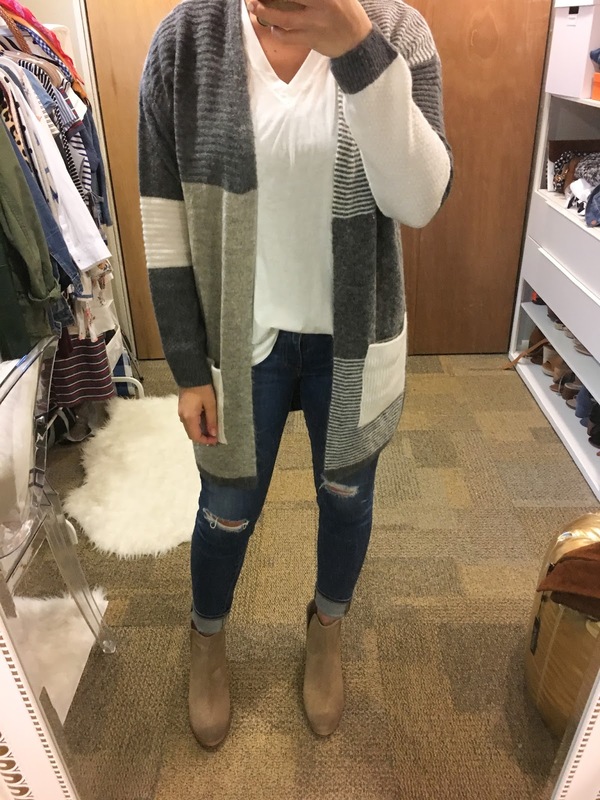 That patchwork cardigan is my favorite!!!! This is making my even more excited to get my order! Especially that topshop cardigan! 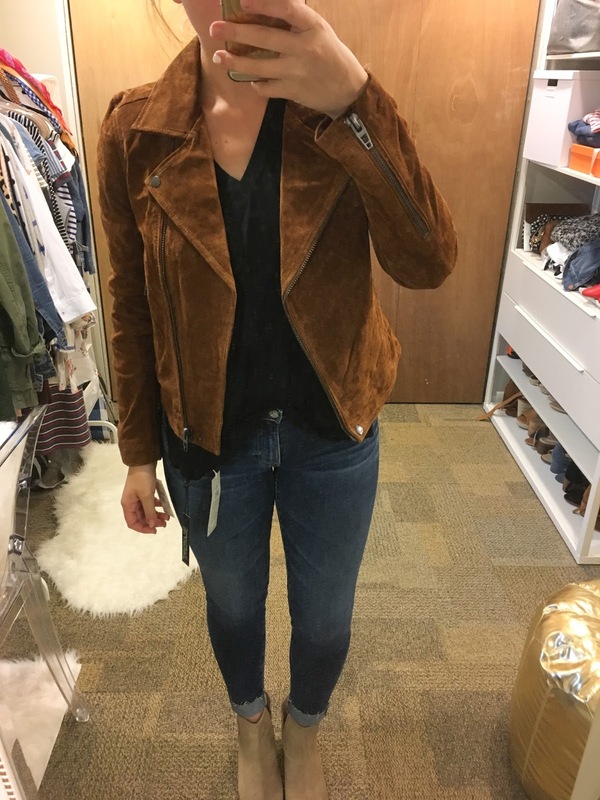 that suede jacket is everything! 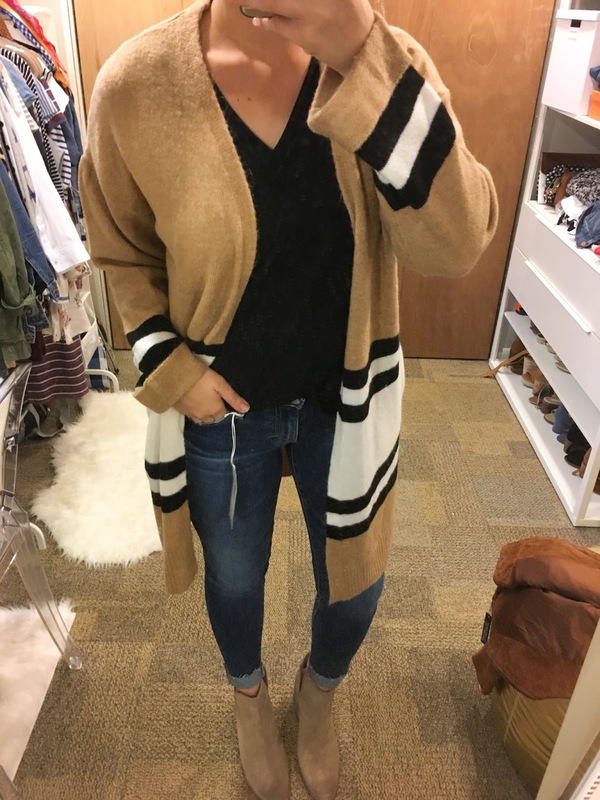 Love all these cozy cardigans and jackets! We picked a ton of the same stuff!